Pray without ceasing, (I Thessalonians 5:17). The power of prayer cannot be measured, often cannot be seen, but is a certainty. There are almost 100 references to prayer in my Bible’s Concordance. Prayer is important. Jesus himself prayed. He taught us to pray. 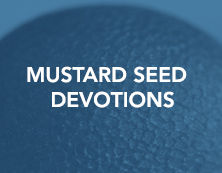 Mustard Seeds and Mustard Seed Devotion Booklets are great resources for prayers when you find yourself wondering what or how to pray for someone or something. As a musician, I mentally sing prayers — verses of memorized hymns or the first lines of a hymn that really spoke to me at a recent worship service. In today’s world of pain and suffering, I find Psalms and hymns filled with just the words that I need and the certainty that my prayers are heard by my Heavenly Father. Abide with me, and I in you. As the branch cannot bear fruit by itself, unless it abides in the vine, neither can you, unless you abide in me (John 15:4). For a long time, I had a grapevine heart wreath on the wall of my home. It was beautiful, but never produced any grapes. It was dead and not connected to any source of life. In John 15 Jesus uses a grapevine as a metaphor for an abundant, productive life. We as believers are the branches and Christ is the Vine. When we are connected to the vine, we bear fruit. How do we stay connected to Christ? The best way to stay connected to Christ is spend time daily in the Word. A few minutes every day will keep you focused on the truth of the Scripture in an ever-changing world. 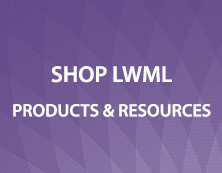 Sign up for LWML Daily Devotions at www.lwml.org. These short devotions are delivered right to your email inbox. Taking time to pray every day will help you focus on the blessings rather than burdens. 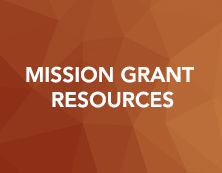 Pray for our LWML mission grants. A prayer journal allows you to look back and see God’s faithfulness to answer your prayers. When we attend worship services we grow in our faith. We can work together to share God’s love with those around us and support one another in joy and sorrow. We don’t have to go it alone. Recently, this question has been asked: “What is your word for this year?” There are joyful and loving words, encouraging words, healing words, hurting words, and courageous words. As the day unfolds before you, think of the words you will use in sharing the love of the Lord. At times it may be the silent words of a hand reaching out or the words of opportunity to simply say “thank you.” The most precious words are the words of the Lord. “but the word of the Lord remains forever.” And this word is the good news that was preached to you (1 Peter 1:25). What words will you use today? And how will you use them? If words do not come easy, perhaps sharing an LWML Mustard Seed Devotion may be all it is necessary to encourage someone’s day. Gracious words are like a honeycomb, sweetness to the soul and health to the body (Proverbs 16:24). Each one of us has made promises in our lifetime for various reasons and at special times to our friends or loves ones. Some are easily kept while others may still be pending or forgotten. For instance, I promised my son I would make him a special quilt; however, I did not specify when it would be complete. He trusts my promise that he will receive the quilt someday but does not know when. Does this sound familiar? He shall bruise your head, and you shall bruise his heel (Genesis 3:15b). God’s people trusted His promise, made to Adam and Eve, to send a Savior. Throughout the centuries, His people recalled this promise, not knowing when this would happen. In the fullness of time, God kept His promise. And she gave birth to her firstborn son and wrapped him in swaddling cloths and laid him in a manger (Luke 2:7a). Now we know and believe that this promised Savior was given to all as a gift. However, many do not know about this promise. 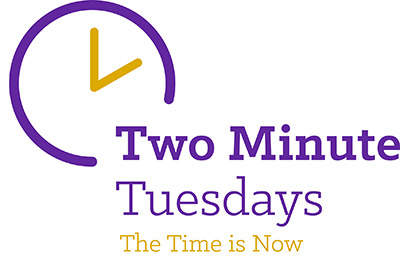 As Lutheran Women in Mission, we are equipped to share this gift with our neighbors through our Mite Box offerings, our acts of kindness, and our prayers. Can we do this with boldness and confidence? Yes! We can do this through the Holy Spirit working and guiding us even as Jesus promised before He ascended into heaven. Trusting this promise, we are bold to speak of God’s promises fulfilled in Christ. Do not be anxious about anything, but in everything, by prayer and petition, with thanksgiving, present your request to God (Philippians 4:6 NIV). It is Good News is a world that is filled with uncertainty and struggle. Jesus is with us no matter what. In the good times and in the challenging times, Jesus remains in control. Jesus is in control of the many things going on in the life of baptized believers. It is easy to lose sight of this biblical truth, especially when times of trial begin to overwhelm you. You may wonder if God is really in control. You might question if God is in control, but in faith, you can trust that He is the One who works for your ultimate good. During these challenging times, the Holy Spirit leads us to look upon the cross and see that Jesus truly does work all things for the good of those who love Him and that He is in complete control. As a Lutheran Woman in Mission, Bible studies from LWML can help during those challenging times. 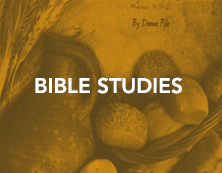 Check out free and downloadable short/single session studies here. “Do not be anxious about anything, but in everything by prayer and supplication, let your requests be known to God. And the peace of God, which surpasses all understanding, will guard your hearts and your minds in Christ Jesus (Philippians 4:6-7). Recently a friend began receiving medical treatment for a back problem. She was in a lot of pain and reached out asking for prayer. She later responded that she felt surrounded by love as her friends prayed for her during her treatment. Prayer is our life line to God. He promises to hear and to answer us. When we have a problem, a health issue or anxiety about a situation, we can talk to Him about our concerns. As LWML sisters, we lift up each other and our organization in prayer as we work together in service to Him. For additional prayer resources, consider the Living in Prayer Mustard Seeds for thirty-one devotions on the gift of prayer for daily living. Trust in the LORD with all thine heart, and lean not unto thine own understanding. In all thy ways acknowledge him, and he shall direct thy paths (Proverbs 3:5-6 NKJV). When you plan a trip, do you rely on your GPS or on a map? More so now than ever before, people are using GPS devices to navigate the world around them. Millennials and later generations might not know how to read a map since their smart phones can create a route from point A to point B in a matter of seconds. So one might ask, is there even a need for maps anymore? Well, I would answer “Yes” to that! While the GPS on your phone can get you to your destination, it does not give you the “big picture” and show you what’s around you while you’re traveling. A map provides orientation by laying out an entire space at once, and also shows you what routes to avoid. My GPS has also failed me in big cities with tall buildings where satellite reception was difficult, so a map can be your back-up plan! God has our life mapped out already and knows the “big picture.” We need to have faith in Him, and be in the Word, which is our roadmap through life. When we take a dangerous detour, God can get us back on track. 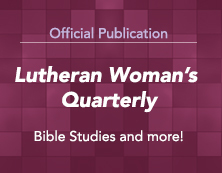 Check out some of the great Bible Studies in our Lutheran Woman’s Quarterly to help orient you along your journey. When driving down the road of life, stay in The Word and let God direct your path so that you can get safely to your final destination … eternal life with Him!